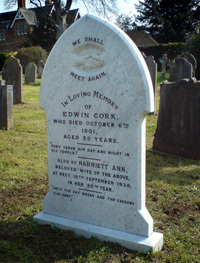 In addition to the aesthetic benefits of maintaining memorials in good condition, Health and Safety legislation now requires Local Authorities and Churches to make sure that memorials are maintained in a safe condition. 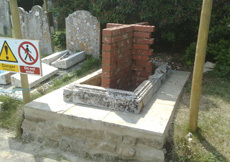 As a result, many older memorials have been deemed unsafe and their owners required to take remedial action. Different memorials weather in different ways. Hard stones such as granite and slate can be kept maintenance free for many years while stone such as marble, Portland and sandstones can attract dirt if not maintained on a regular basis. 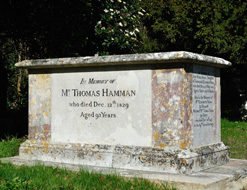 With the passing of time, local conditions and the weather can all have an adverse effect on the appearance of your memorial. 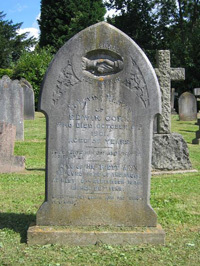 J. Gumbrill offer a full cleaning and renovation service to return your memorial to its former glory. 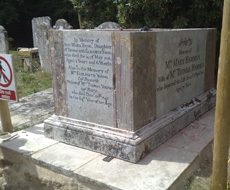 Often we can make a very weathered memorial look as good as new and re-fix it to fully comply with modern standards for installation of memorials, thus ensuring that any future outlay on maintenance is kept to a minimum. 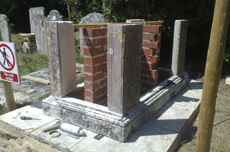 If you would like a free, no obligation survey carried out on a memorial by an experienced mason to asses the cost of a renovation, please email or contact our office to arrange a quotation.